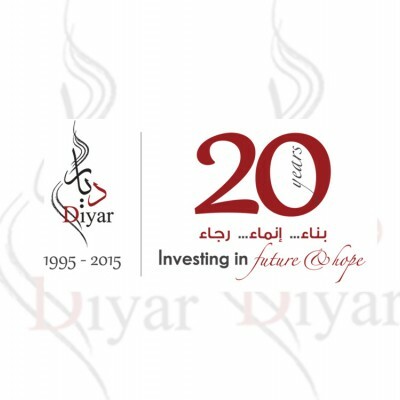 Dr. Mitri Raheb is the President of Diyar Consortium and of Dar al-Kalima University College in Bethlehem, as well as the president of the Synod of the Evangelical Lutheran Church in Jordan and the Holy Land in addition to being the Senior Pastor of the Evangelical Lutheran Christmas Church in Bethlehem, Palestine. 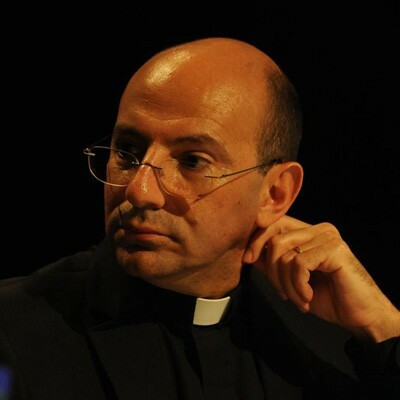 The most widely published Palestinian theologian to date, Dr. Raheb is the author of 16 books including: Das Reformatorische Erbe unter den Palaestinensern, I am a Palestinian Christian; Bethlehem Besieged. He is the Chief Editor of the Contextual Theology Series at Diyar Publishing including: The Invention of History, A Century of Interplay between Theology and Politics in Palestine; The Biblical Text in the Context of Occupation: Towards a new hermeneutics of liberation. His books and numerous articles have been translated so far into eleven languages. The work of Dr. Raheb has received wide media attention from major international media outlets and networks including CNN, ABC, CBS, 60 Minutes, BBC, ARD, ZDF, DW, BR, Premiere, Raiuno, Stern, The Economist, Newsweek, and Vanity Fair. Bishop Munib A. Younan was consecrated Bishop of the Evangelical Lutheran Church in Jordan & the Holy Land (ELCJHL) on January 5, 1998. Bishop Younan received his master's degree from the University of Helsinki in Finland, and studied Deaconry at Luther Opisto College in Järvenpää, Finland. Bishop Younan has been an active member of the Lutheran World Federation (LWF) since 1981, and in July 2003 he was elected as the Vice President of the LWF and a member of the Council. He has also been a member of the Middle East Council of Churches (MECC) Executive Committee since 1995 besides being a member of the Theological Committee of The Fellowship of the Middle East Evangelical Churches (FMECC). In addition, Bishop Younan has been a member of the WCC – Orthodox Study Group since 1998, President of the Board of Managers of the International Christian Committee (ICC) – Jerusalem, and since 1998, he has been the Chairperson of the Augusta Victoria Hospital Board. Dec 2001: Human Rights Award from the United Nations Association, Washington D.C.
Born in 1938, Mr. Khouri received his MBA from the European Institute of Business Administration (INSEAD); France. Mr. Khouri is currently Chairperson of the National Beverage Company (Coca-Cola/Marawi) in Palestine, and also Chairperson of Intram Investments in the USA. A board member of Palestine Development & Investment Limited (PADICO) and Chairperson of Palestinian Tourism and Investment Co. (PTIC), Mr. Khouri chairs the Palestinian NGO Development Center (NDC) in Jerusalem, and is a member of the Palestinian Presidential Committee for Christian Affairs and the Palestine Business Committee for Peace and Reform (PBCPR) in Washington, D.C.
Chief Executive Officer of Palestine Mortgage and Housing Corporation www.pmhc.com since 2008. Mr. Kassis held several Financial & Consulting positions, he is a board member at the Palestine Monetary Authority PMA and member of its audit committee . Mr. Kassis was a Financial Advisor for the Chairman of Palestine Investment Fund www.pif.ps and advisor for the Governor of Palestine Monetary Authority in 2006. A banker during the period 1993 – 2006 at HSBC, in both Jordan and Palestine. He was the Manager of the HSBC Bank -Middle East (2001- 2007). Mr. Kassis represents distinguished investors in local companies' boards and is currently the deputy Mayor of the city of Rawabi Municipality www.rawabi.ps and a member of The Young Professionals Organization www.ypo.org. Mr. Kassis is married to Mrs. Rana Ishaq who works for The World Bank - Jerusalem and has two daughters, Diana "Nour" and Sophie "May". 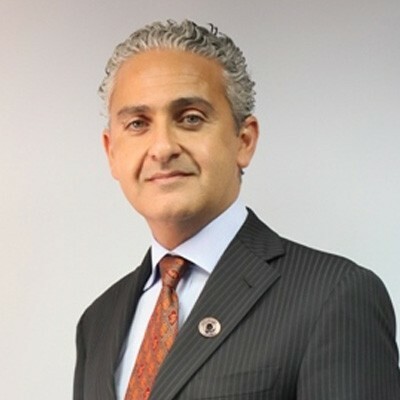 He holds a degree in International Executive Business Administration from Kellogg School of Management- Chicago, and BA in Banking & Finance from Jordan. Born in Beit Jala, Palestine in 1952, Dr. Asfour-Najjar received her MB.BCH degree from Ein Shams University in Cairo, Egypt in 1975 before working as Resident at al-Husain Governmental Hospital in Beit Jala in 1976. She received her DCH and MRCP degrees from London and worked from 1981 to 1986 at the Riyadh Medical Center in Saudi Arabia. Born in Jerusalem in 1945, Dr. Sabella received his master's degree in Sociology in 1971 and his PhD in Sociology in 1981 from the University of Virginia, Charlottesville in the USA. Since then, he has been an Associate Professor of Sociology at Bethlehem University and during the period of 1995 to 2004 teaching Palestinian Society and Politics at Jerusalem University College. In 2006, he has been elected as a member of the Palestinian Legislative Council. In addition, he is the Executive Director of the Department of Service to Palestinian Refugees at the Middle East Council of Churches (MECC). The multi-lingual Dr. Sabella has published numerous articles and essays, most of which are critical reflections on the internal dynamics of the Palestinian society and politics. His attendance at conferences, workshops and seminars is ongoing, especially at those events that address social, economic and political issues of relevance to our region and its complexities. Dr. Aghabekian received her master's degree in Nursing Administration from Indiana University – Purdue University, USA in 1983 and her PhD in Education and Administrative and Policy Studies from the University of Pittsburgh, USA in 1988. She is currently the Project Manager - Capacity and Institution Building at the Office of the President at the Palestinian National Authority. Dr. Aghabekian has worked as an Associate Professor at Al-Quds University School of Public Health and Faculty of Health Professions, besides being the Director of Research and Planning at the Welfare Association. A historian, Mr. Aghazarian received his bachelor's degree in Political Science and General Management from the American University of Beirut, Lebanon in 1972 and his master's degree in Contemporary Arab Studies from Georgetown University in Washington D.C., U.S.A. in 1979. He has been the Director of Public Relations at Birzeit University and the Director of Palestinian Press Centre, Madrid Peace Conference, Spain, October 1991. Mr. Aghazarian has participated in numerous international conferences, symposiums and speaking tours, tackling religious, political and media issues. He also co-wrote Christian Voices from the Holy Land (with Afif Safieh) and published numerous articles and translation works. Mr. Kasabreh received his master's degree in Environmental Engineering in 1993 from the University of Newcastle upon Tyne in the United Kingdom. With over ten years experience in planning, supervising implementation, monitoring and evaluating impact and outcomes of social development projects in the West Bank and Gaza, Mr. Kasabreh is currently the Director of the NGO Development Center (NDC) in Jerusalem. Previous work experience has included posts such as PMO Director at Welfare Association, Grants Program Director at the Welfare Association Consortium and Planner for Infrastucture and Environment at the UNDP. Mr. Jalal Odeh is a microbiologist; he studied in the Delta college- University Center in Michigan from 1968 until 1970. On the same year, he went to Wayne State University- Detroit and studied for five years, B.Sc Biology and M.Sc Medial. Afterwards, he completed a whole year of Residency/ Department of clinical laboratories in Clinical Microbiology from the Henry Fred Hospital in Detroit Michigan. A continuous educator is Mr. Odeh; who continued his learning and professional training in Evaluation of Clinical Laboratory Instrumentation and Automation in Clinical Microbiology. To add more, he finished one year in the Harvard University School of Medicine “Division of Organ Transplantation” Boston Massachusetts. Last but not least did “Quality Assurance in the Clinical Microbiology Laboratory” in Detroit Michigan. Lastly, Mr. Odeh is currently the director of two medical Laboratories in Bethlehem, Palestine; “Odeh’s Medical Laboratory”.